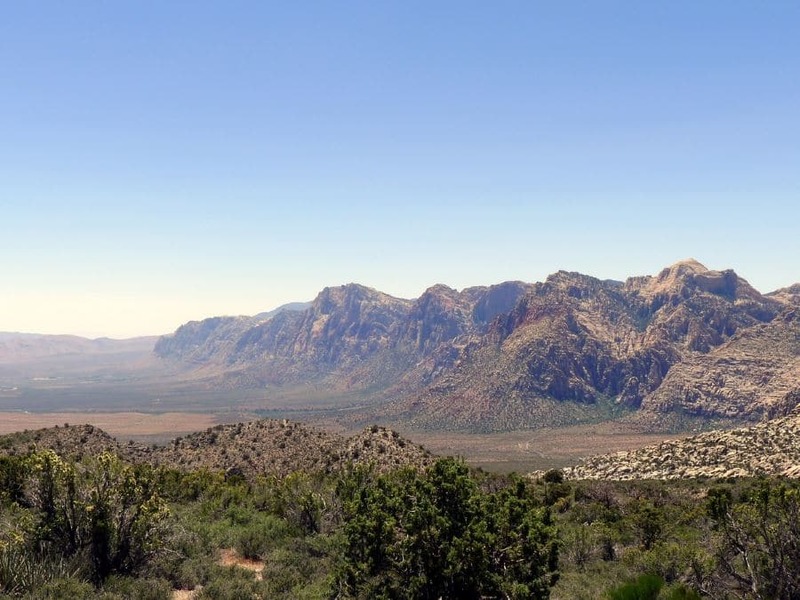 Despite being just a short distance from the bright lights of the Vegas strip, the areas of Red Rock Canyon and Mt. Charleston are a stark contrast. A mere 15 mile drive away, Red Rock is home to hundreds of species of plants and animals, spectacular sandstone rocks that glow in a vibrant crimson color and cliffs reaching up to 3,000 feet. Here you can expect stunning hiking and unparalleled raw desert beauty. Just a bit further away, Mt. 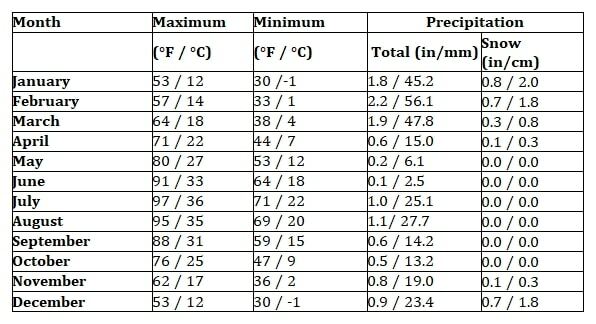 Charleston offers a welcome respite from the scorching Vegas heat, as temperatures can be up to 20 F cooler there. With peaks reaching up to 12,000 feet, this mountain oasis boasts brisk mountain breezes, abundant greenery and more than 52 miles of trails. Both locations are popular for Vegas locals looking to escape the hustle of Sin City as well as more than one million tourists each year. 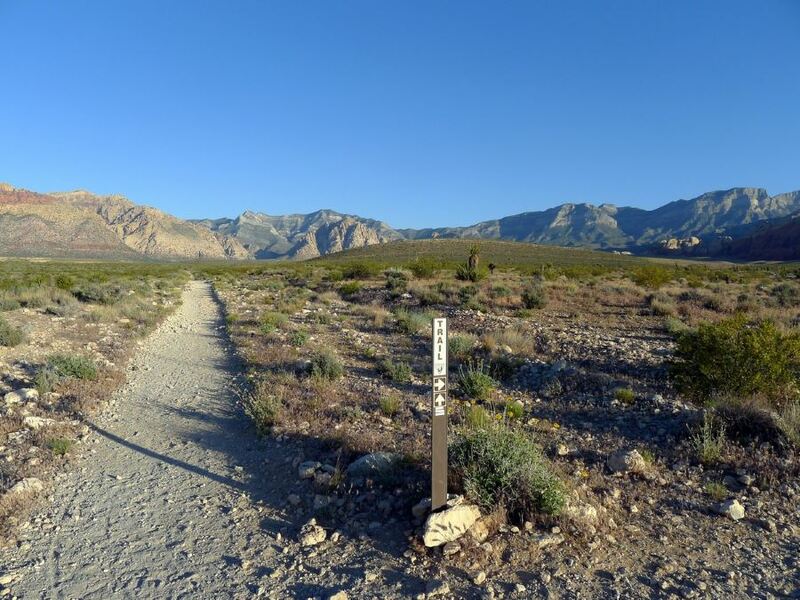 Here we’ll take you through the basic overview of hiking in Red Rock Canyon and Mt. Charleston – including how to get there, where to stay, where to eat, what to see and what to watch out for. The quickest way to get to Red Rock Canyon and Mt. Charleston is to fly into Las Vegas McCarran International Airport, serving a wide variety of international and domestic airlines. Here you can rent a private vehicle to drive to your destination. This is probably the easiest as well as least expensive option. Or, if you’re planning on staying in Vegas, your hotel will perhaps offer a free shuttle from the airport. From there, you’ll need to take a taxi to the canyon. Both Red Rock Canyon and Mt. Charleston are open all year round, but we definitely suggest exploring during shoulder seasons – Spring and Autumn. 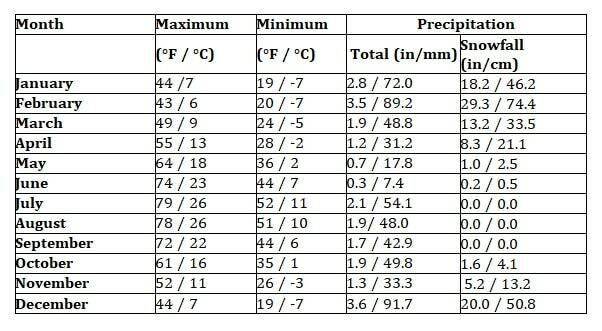 Here you can expect sunny, warm weather without the scorching summer heat. 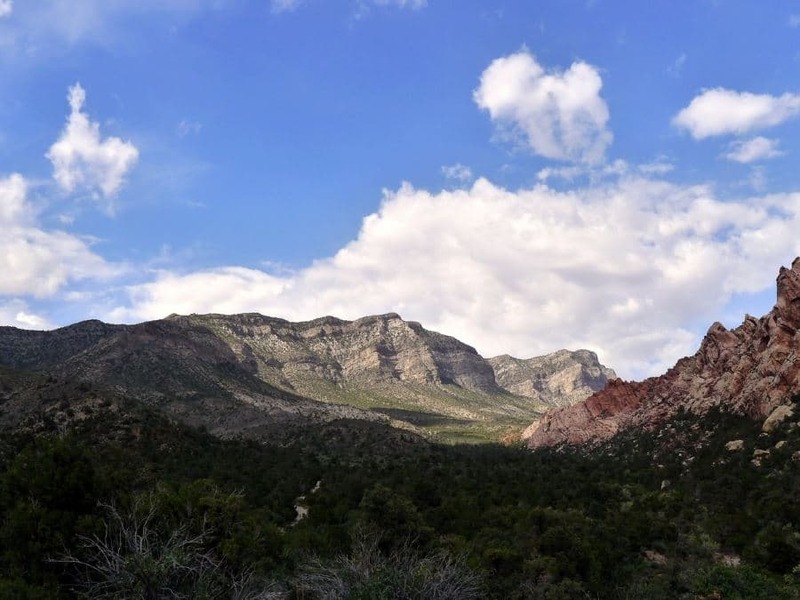 In Red Rock, these seasons provide clear skies with limited chance of precipitation, though there may be some ice left over on parts of the hikes in Red Rock during the spring. Mt. Charleston boasts more mild temperatures, with average highs in the high 70s F (25 C), even at the height of summer – so if you must go during the high season, go there! 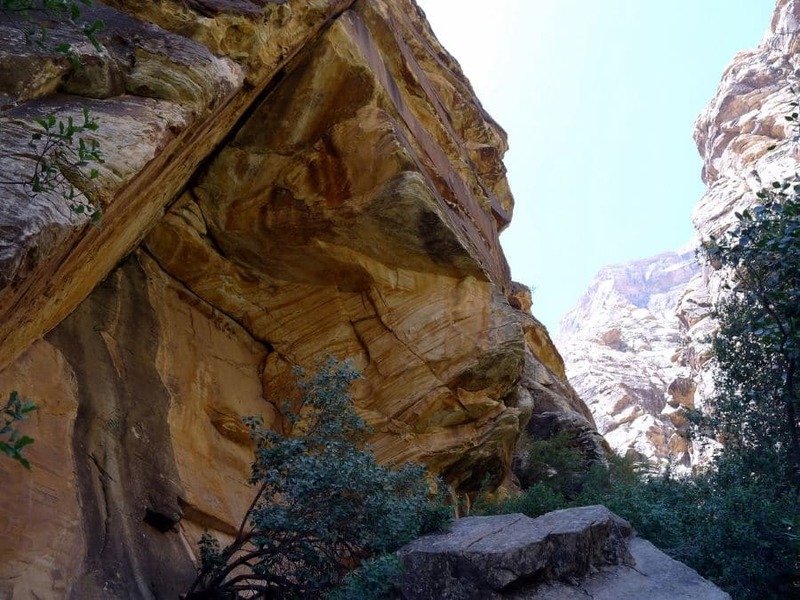 During the winter season, Red Rock (like the rest of Nevada) features an arid climate, however snow often blankets the mountains, which can make hiking difficult. In Mt. Charleston, temperatures regularly stay below freezing and the routes are often covered with snow. During this time, the area is a popular winter sport destination. Despite being just a short distance apart, the weather differs significantly between Red Rock and Mt. Charleston. Both Red Rock Canyon and Mt. Charleston offer little options for public transport. We suggest renting a private car for your visit or hiring a taxi to get around. There are no lodging options located inside the Red Rock Canyon Nature Conservation area except camping. However the campground closes from May 30 to September 1 each year due to a extremely hot summer season. For more information about camping in Red Rock click here. Mt. Charleston, however, offers a small, but nice, selection of lodging options. 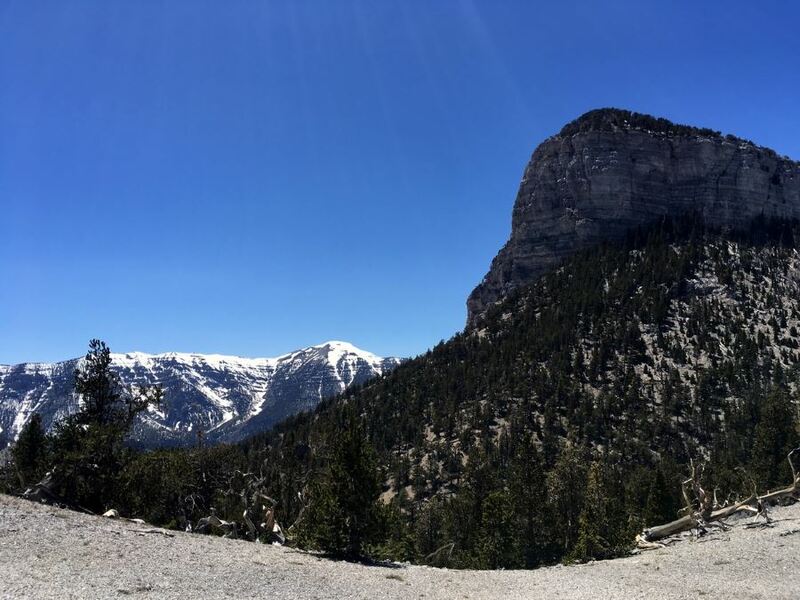 Located at a stunning height of more than 7,000 feet (2,133 meters), the Mount Charleston Lodge provides rustic comfort with an authentic outdoorsy feeling. You can find 24 cabins there, with a beautiful view, outdoor deck and fireplace. They also have a restaurant as well. 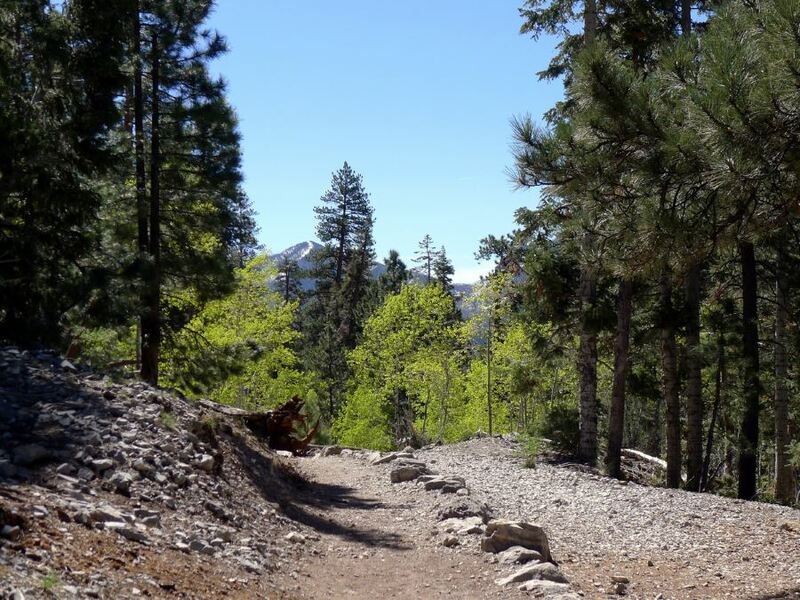 The most luxurious option on the mountain is the Resort on Mount Charleston. With a spectacular outdoor pool, full day spa, restaurant, bar – and more – you can enjoy the area to its fullest. It’s also possible to camp in Mt. Charleston. Check out the Clark County website for more information. Red Rock Canyon offers limited restaurant options, and thus we recommend packing a lunch for a day on the trails. 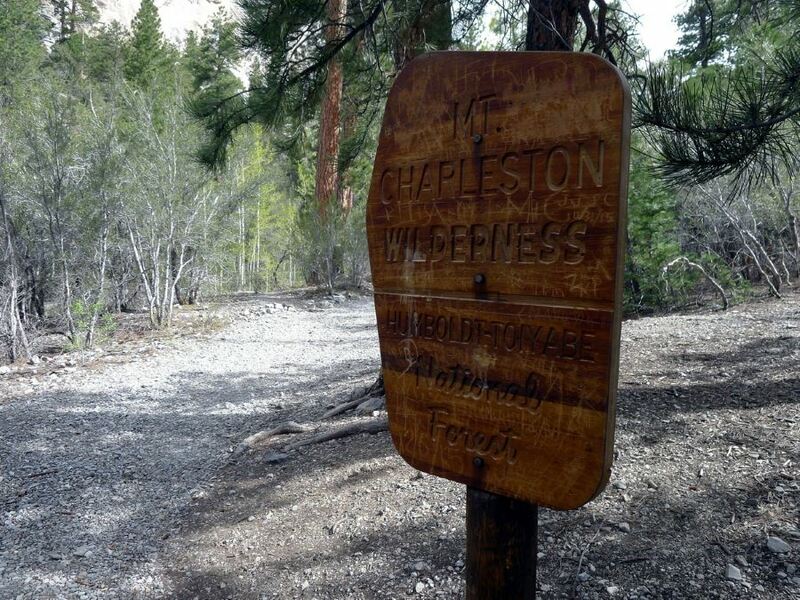 Mount Charleston is a bit more varied, but definitely still limited. There are three restaurants in Mount Charleston – The Mount Charleston Lodge Restaurant and the Mount Charleston Resort Dining Room. We suggest stopping by nearby Vegas for a wider selection of options! What else can you do besides hiking in Red Rock Canyon and Mt. Charleston? Hiking is definitely the headliner in Red Rock and Mt. Charleston, however there are also some other activities to take advantage of if you get tired of the trails! 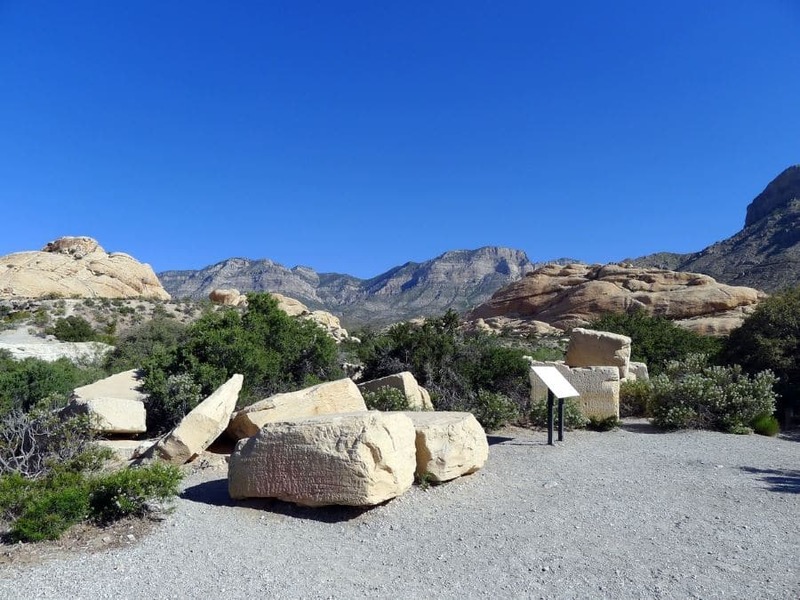 In Red Rock, for example, make sure to check out the Red Rock Visitor Center. Here you can find loads of exciting outdoor exhibits, where you can learn about the history of the area (more than 10,000 years back! ), geography and plant and animal life. As well, with Yosemite-sized walls, rock climbing is a popular activity, especially in Red Rock. You can find options suitable for complete beginner or trained climbers – and all that’s in between. Find out more information at the BLM Red Rock Climbing or from SuperTopo. Bicycling is also an option for those looking to explore, but at a bit quicker pace. 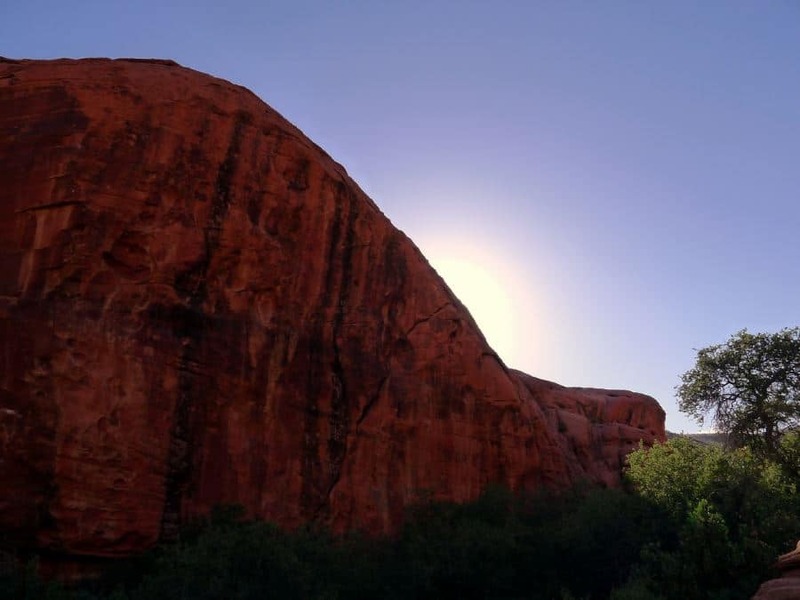 This is a great way to see all the stunning flora and fauna as well as the massive sandstone cliffs that make the region so famous. You will have to bring all equipment necessary to run the bike, however (and make sure to wear plenty of sunscreen). In Mt. Charleston horseback riding is a popular activity, typically organized by either the accommodations. 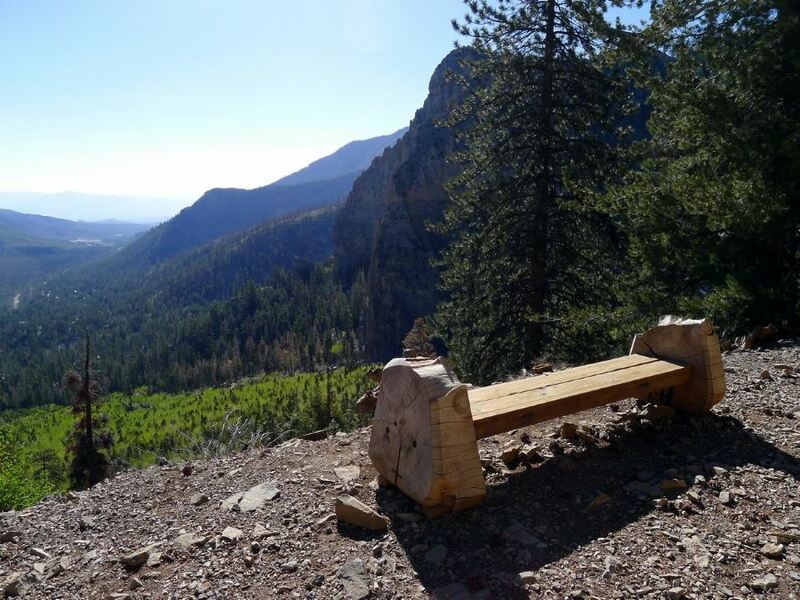 As well, both the Mount Charleston Lodge and the Mount Charleston Resort offer a monthly calendar of activities and events for you to check out! Drought, heat, and wind help dry timber and other fuel, making it easier to ignite, pay attention to fire safety in the forest areas. Abandoned mines are located throughout the desert, which reportedly people (and even whole vehicles) have fallen into before – never enter a mine area. Flash flooding can occur at any time of the year, though it is most common in July, August and September. Many potentially dangerous animals such as bears or snakes live in the area. Make sure to follow all recommended protocol if you encounter one of these animals. As well, make sure to watch out for ticks. Open water must first be treated before drinking. Poison oak and ivy are common in the area. The cost to enter the Red Rock Canyon Nature Conservation area is $7 per day for car/truck and $3 per day for a motorcycle or pedestrian.